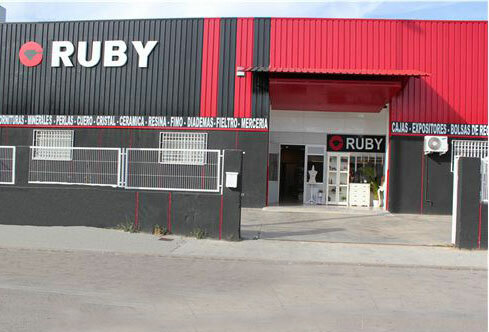 RUBY is a distribution company of beads, beads and trimmings. It offers to the shops and artisans of the sector all the necessary for the tailor made elaboration of jewelery and costume jewelery. It was born with the aim of becoming a benchmark company in this sector and with the vocation of offering a wide variety of items from around the world, at very competitive prices. Buy materials in different places of the world; continuously expanding its catalog of articles. Currently has more than 7,000 references distributed in natural stones, pearls, crystal, coral, resins, silver, wood, ceramics, chains, .... The fact of buying the products in their place of origin, allows to have some prices without competition. is a distribution company of beads, beads and trimmings. It offers to the shops and artisans of the sector all the necessary for the tailor made elaboration of jewelery and costume jewelery.